• Donna Bowater explains how Christopher L. Gibson’s book, Movement-Driven Development: The Politics of Health and Democracy in Brazil, offers a path forward for a backsliding Brazil. • What should be the role of philanthropy in advancing healthcare and democracy in Brazil and around the world? • Learn about migration in Brazil. The timing of Christopher L. Gibson’s new book, Movement-Driven Development: The Politics of Health and Democracy in Brazil, is both unfortunate and fortuitous. It is unfortunate because Gibson’s rigorous analysis of the extraordinary achievements of Brazil’s public health system from the late 1980s comes just as analysts warn of fresh backsliding under a newly inaugurated right-wing president. At the very least, Jair Bolsonaro takes office following the first rise in infant mortality in decades, while the World Bank also notes an increase in poverty from 2016 to 2017, reaching almost 55 million Brazilians, after years of reductions under the left-wing Workers’ Party (PT). But the publication of Movement-Driven Development is also fortuitous: it offers a timely reminder of the enormous potential for development through citizen and civil-society actors, even in a complex or unsupportive political climate. 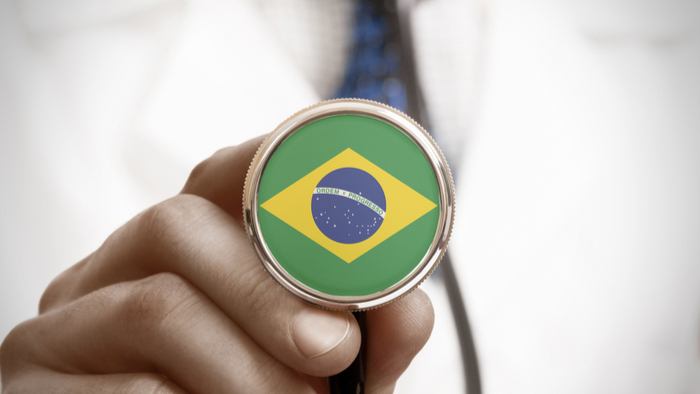 An assistant professor at Simon Fraser University’s School for International Studies, Gibson assesses the role of Brazil’s civil-society actors in driving the move toward universal health care during the country’s transition from dictatorship to democracy in the 1980s. He especially celebrates the contributions of Brazil’s loosely defined Sanitarist Movement (Movimento Sanitário), which united activists and public health professionals, in both creating and occupying institutions and systems to deliver primary health care. Read the full article about Movement-Driven Development by Donna Bowater at Stanford Social Innovation Review. Public Health is a complex topic, and others found these selections from the Impact Giving archive from Giving Compass to be good resources. Giving Compass' Take: • Grantmakers in Health explains how foundations can maximize their impact on the health care system by building capacity across sectors in the system to better leverage their other funding. • What other issue areas besides health care would benefit from this approach? How can funders decide how to best direct their capacity-building budget? • Learn why funding talent investment is key to capacity building. At a time when the health care system is facing a host of challenges, many with attributes that are impossible to solve alone, we see organizations from across the health and social sectors combining their skills and expertise through interesting partnerships to crack the “impossible” together. Just as the complexity of the challenges facing the healthcare sector demands a new strategy like cross-sector partnering, that strategy itself demands a new kind of intervention from the health philanthropy community. With growing attention being put toward the need for functional cross-sector partnerships, the gap is amplified between organizations’ good intentions for partnering and their suited capacities and skills to do so. This presents an emerging opportunity for foundations interested in accelerating health system improvement: intervene early and commit resources toward stewarding capacity-building initiatives. This will be in service to the sector leaders that will ultimately need the skills to design and implement productive, long-lasting cross-sector partnerships. When foundations layer capacity building on top of traditional funding, they position the organizations they support to make greater contributions to cross-sector partnerships and the goals these partnerships aim to achieve. Ask a funder with a thriving portfolio of programs aimed toward improving health system performance, and they will likely tell you that the most successful initiatives are executed by organizations with the necessary skills and expertise to deliver. But the capacities required to deliver effective cross-sector partnerships do not always come naturally to organizations that have been operating in an environment that favors individual organization incentive versus whole system incentive, and it will take time to develop the culture and elements that translate into partnership readiness. And while it will take time for organizations to mature their partnership readiness, the funding approach to capacity building requires a rethink on the part of foundations. Read the full article about accelerating health system improvement by Lori Peterson, Erica Snow, and at Grantmakers In Health. Civil Society is a fascinating topic, and others found these events, galas, conferences and volunteering opportunities aggregated by Giving Compass to be relevant for individuals with a passion for Civil Society.